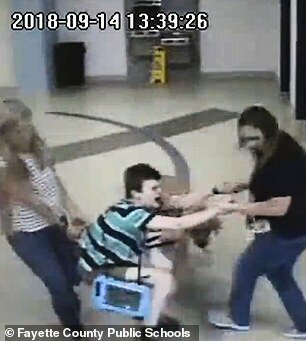 Speaking to Lex18, Grayson said Thatcher refused to get up off the gym floor, so a teacher and a school nurse proceeded to drag him down a hallway. 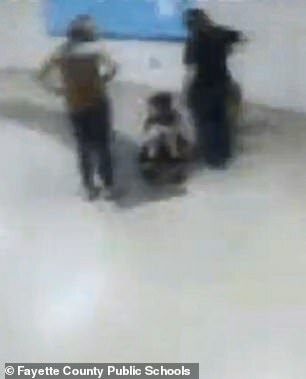 Surveillance video released this week by the Fayette County School System in response to WKYT’s freedom of information request shows Thatcher sitting on the floor, with two female staffers standing over him. The footage has no audio. 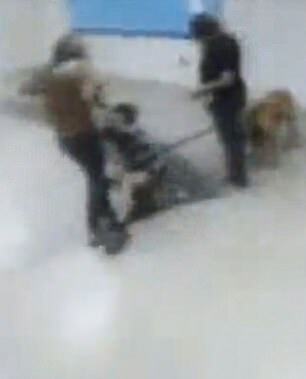 About 30 seconds into the recording, one of the women grabs Thatcher by the arms and tries to bring him to his feet, but ends up dragging him on his buttocks across the floor. 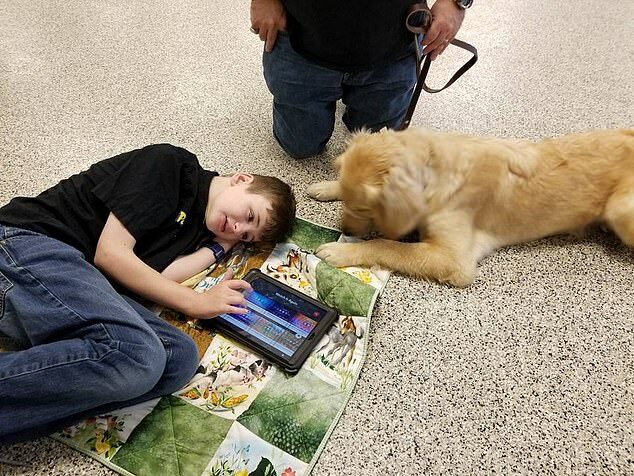 Thatcher’s service dog, a golden retriever named Saul, follows the 11-year-old as the teacher and the nurse struggle to get him off the floor. 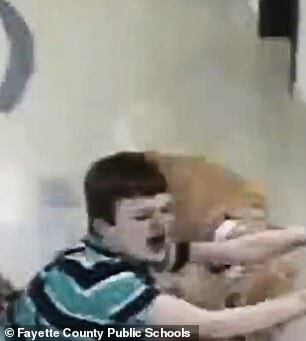 A few minutes later, the child gets down on all fours next to his dog, at which point one of the staffers grabs his arms and drags him on his stomach. 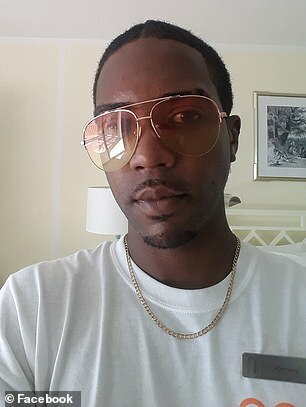 Grayson said Thatcher’s teacher sent her a message that day saying her son had a meltdown and had to be picked up off the gymnasium floor, but she did not reveal that it entailed dragging the child. 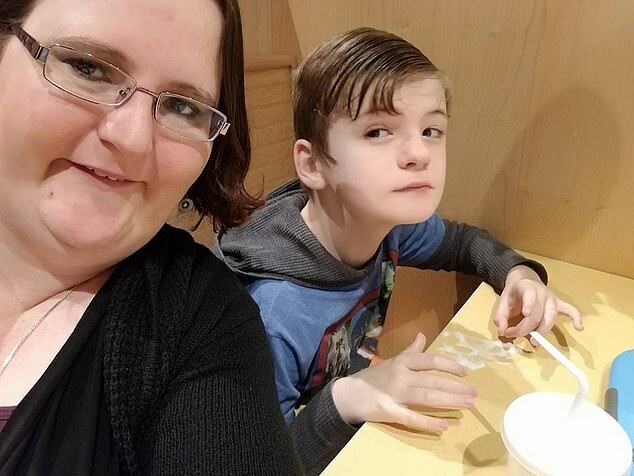 ‘How could somebody who works with a person with disabilities lose their cool like that and just be, you know, not thinking about how this is going to not only physically hurt a child but psychologically hurt them as well?’ Grayson told WKYT. 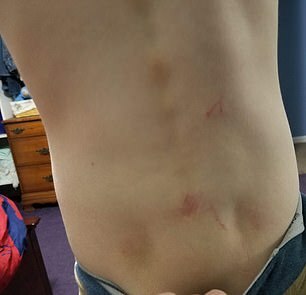 According to the married mother-of-one, it was not until she saw the injuries on her son’s torso that evening that she learned what really happened. The Fayette County School System released a statement saying the incident was being investigated. ‘We are committed to ensuring the safety and well-being of our students and take any and all reports of this nature seriously,’ the statement read in part. 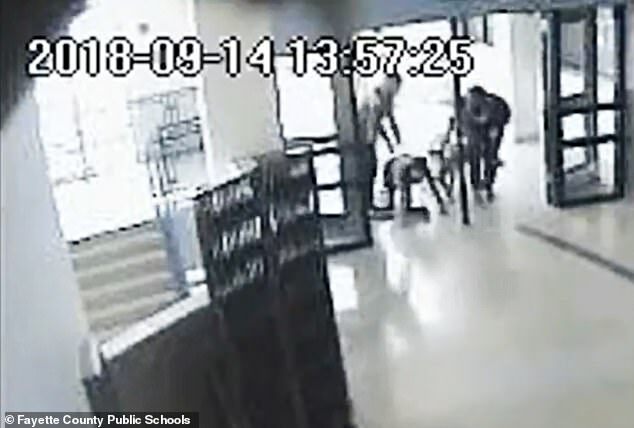 The Lexington-Fayette County Health Department said that the school nurse seen in the CCTV video has been placed on paid leave pending the outcome of the probe. 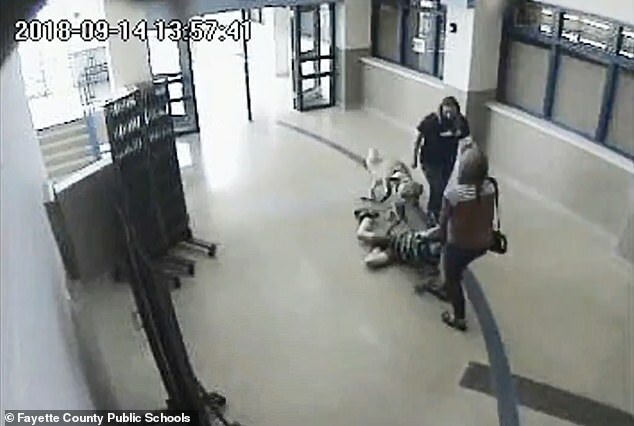 On her personal blog, Grayson wrote on October 3 that the teacher who took part in dragging her son across the floor had been fired.